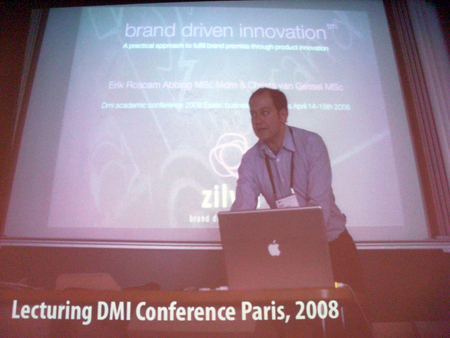 Erik discussed his concept, ‘brand-driven innovation’, at the DMI conference in Paris in 2008. Since then he has had a busy time of it, culminating in the launch of his new book in Delft last week. He has put his many years of experience working as a designer, a teacher and a design consultant into writing this book – and answering these questions for us. AVA: What is a typical day for you? Erik: On Mondays I am with my kids, on Thursdays I teach at the TU Delft. The other days I am mostly racing from client meeting to client meeting, facilitating workshops, visiting my clients’ customers, lecturing and coaching. In the evenings, when the kids are in bed, I finally get to prepare presentations and workshops, answer e-mails, and write proposals. So my life is very hectic and busy. I hope to have this all balanced out by the time I am 80 ;-). AVA: How did you come up with the idea of brand-driven innovation? Erik: It happened during a big client project 10 years ago. I worked as an industrial designer at the time and I was heavily involved in designing many of the products of this client. At some point we were asked to join them on a weekend session to reinvent their brand. It was a great session, we had some very significant insights, and everyone was very happy. When I went back to work with them the following Monday the designers, marketing managers and product managers set to their normal tasks like nothing happened. Only the communication lady started using our insights. I stepped up to the CEO and asked him: ‘If we all agree on the insights we discovered during the weekend, and if we all agree that our brand needs this new boost, shouldn’t this have consequences for everything we do, including the products we develop? And not just be a matter of the communication department putting some new slogans on our brochures?’ The CEO agreed, and gave me the mandate to help his designers translate the new brand into a new product assortment. It was the most exciting project I’d ever done, and I knew at that point that I wanted to specialise in translating brands into meaningful new products and services. AVA: How significant do you think design strategy will be to the future of design? Erik: I think that the deployment of design and design thinking as strategic resource in organisations will become more and more significant the coming years. Design processes, methods and tools deal with complexity in a holistic, human manner. This suits our age very well. I also feel strongly that this is design’s strongest trait. Designers may be good at decorating hip lounge bars, and at making nice shiny gadgets, but they are at their best when they contribute their skills to solving the very complex challenges modern organisations face. AVA: Kathryn Best says in her book, The Fundamentals of Design Management, that design-driven innovation is more of a user-centred, ‘bottom-up’ approach, and brand-driven innovation is more of a brand and marketing, ‘top-down’ approach. Do you agree with this distinction? Erik: No I don’t. Kathryn is a very dear friend of mine, but I disagree with her on this one ;). We don’t look at branding as a top-down approach. For a brand to be at the root of new products and services it has to be based on a shared vision that is understood and valued by everyone in the company. Innovation is not something you can force onto people. Change is hard enough as it is. Meaningful change can only happen if employees believe in a shared cause and have the individual freedom to act in the interest of that cause. We believe that branding is about finding that common cause that’s meaningful to an organisation’s members and its customers. 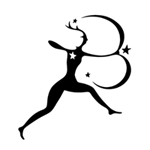 And we believe that that kind of branding is very much a bottom-up approach. AVA: Can you explain the idea behind Designest and why you wanted to be involved? Erik: I started Designest as a design thinking hub, a location where smart, strategic design thinkers can come together to work on projects and be inspired by each other. I did this simply because I’m involved in client projects where I need to involve different highly experienced designers with different disciplines and backgrounds, in order to come to meaningful, integrated results. But I also love the energy and buzz of different specialists working together in one space. We are considering scaling up, and a dear friend and business partner of mine, Arne van Oosterom, is considering starting a hub in Amsterdam as well. 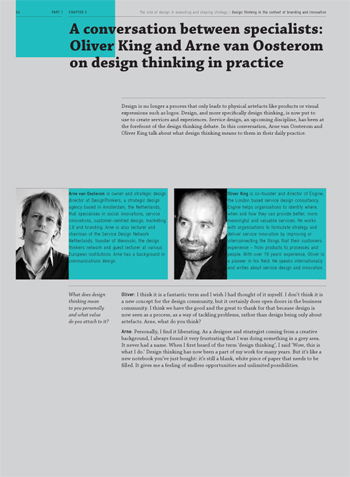 Read an interview with Arne van Ooosterom and Oliver King in Erik’s book. AVA: In your book, you stress that having a meaningful brand vision is vital. Of all the factors which go towards making a company successful, just how important is it? Erik: My experience is that having a clear brand vision doesn’t replace other success factors like customer focus, committed people, smart technology, visionary leadership, and an innovative culture. But it provides a very solid foundation for these other success factors. With a strong brand vision organisations will find it easier to focus, find direction, oversee the playing field, and take calculated risks. It will also help build a strong culture and make that culture explicit and actionable. AVA: Should more companies be approaching design consultants for their input or can a different attitude towards branding and innovation be developed in-house? Erik: That’s a good question with a bit of a complex answer: I think a lot of companies could benefit from design as a strategic process facilitator, because it may help them solve many of their problems and it will lead them to better products and services. But this way of using design, as a catalyst, is not something you can simply outsource. It requires a lot of effort from many people within the organisation, who will need to work together, maybe leave their comfort zone, and explore new ways of working and measuring success. It will require the will of the organisation to undergo a cultural shift. Without this internal effort, hiring design consultants will be a waste of time and money. If the in-house ambition and will are there, as is the case with many of my clients, external design consultants can add tremendous value. However, not all design consultants will be drawn to facilitating internal processes instead of delivering a new logo, website or product design. Not all designers are design thinkers. Fortunately, I do see a new wave of design consultancies emerging that are applying design thinking, service design, and people research methods. These consultancies don’t deliver logos, products, or websites. They facilitate organisations to become better at delivering value. I believe it’s these consultancies that more organisations should turn to for guidance. 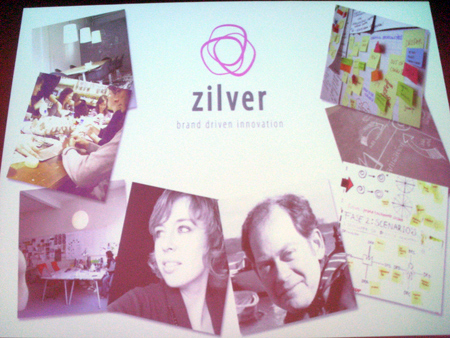 AVA: Can you describe your brand vision for your company, Zilver? Erik: Our vision is that organisations realise that hierarchies, linear thinking, closed structures, and strict metrics haven’t brought them the success they were hoping for. We see a growing interest in approaches that are more holistic, people centred, open, iterative, playful, entrepreneurial and visionary. Organisations that apply these approaches, innovate on the basis of a deeply rooted vision on themselves and their customers. They integrate brand vision, design thinking and innovation strategy to create meaningful new products and services that fit their culture and resonate with their customers. Case studies prove that these approaches bring more sustainable growth, more committed people, and more unique and relevant offerings, eventually leading to economic, social and environmental benefits for organisations and their customers. Zilver’s mission is to facilitate, trigger, develop and teach this new thinking, through our Brand Driven Innovation approach, for and with entrepreneurial clients in B2B, B2C and non-profit sectors. Erik’s company Zilver has consulted with a wide range of clients. A range of them can be found as case studies in his book. fatboy (below) is one of these. AVA: What is the most practical advice you can give to someone who wants to overhaul the image of their company? Erik: Don’t focus on the image too much. Your brand image is the result of what you do. So if you want to change your image, change what you do. Innovate! I think too much focus in branding goes to communication and too little goes to developing new products and services that people love to use. You don’t build a brand by talking, you build it by doing. AVA: When starting to build a company should you have a clear brand vision or can this evolve over time? How much involvement should employees have in the process? What is the key to finding a brand vision that suits your company? Erik: I think it’s important to start with a clear vision but don’t set it in stone. See your vision as something organic and let it evolve and grow over time. Don’t focus too much on the typical list of core values. These lists of words usually don’t work very well. Human beings are storytellers so I like to use stories to capture a brand vision in a way that clings. Involving your people is essential. In my experience, brands that don’t involve employees in their creation process but that are simply catapulted into the organisation don’t get support. They are seen as limitation rather than inspiration. Besides, we often discover that the core of the brand vision is not something that is created at all. It is already there, in the minds and culture of the employees and their shared history and vision. All we do is get it out in the open and polish it a little bit. I think the key to finding a brand vision that fits your company is to be very curious and to go and have conversations with everyone involved. Brands define the relationships organisations have with their customers. To understand the relationship, you need to delve deep, both in what makes you tick and in what makes your customer tick. This kind of understanding will not be brought about by questionnaires or outsourced market research. Go sit with your people and spend time exploring your shared history and future. And then go out together and spend time your customer. Give him/her the tools to really express them selves. 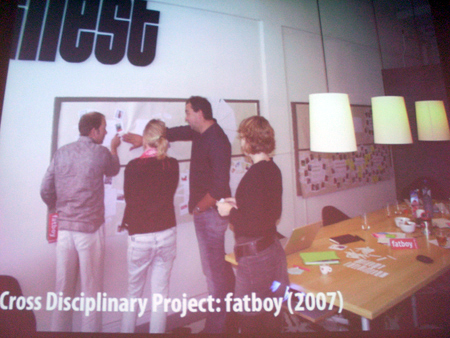 Design research methodologies are great to get to these real insights in a fun and inspiring manner. AVA: Can you explain the POST structure? AVA: Is the issue of ethics one that should come into discussions over branding? Do you consciously try to conduct your business ethically? Erik: I personally believe that brands are very ethical constructs. They help companies frame their beliefs and act by them. The time that brands were facades behind which companies could conduct dirty business is really long behind us. Brands represent so much value that the opposite has become true: they open up organisations to their audiences, and force them to behave according to their promises. When Innocent smoothies signed a deal with Coca Cola, the whole ethical debate about this decision, both from the organisation’s point of view and from their customers’ point of view was out in the open. This also applies to how I do business. If I preach to my clients that they should base their behaviour on a strong vision, and that they should act according to values and beliefs they share with their customers, I need to set an example. I build strong relationships with my clients, and I respect them sincerely. I try to always exceed expectations, keep promises and delight them. Not an easy task, I can tell you, especially now we are so very busy. But it’s my brand promise and I intent to fulfil it! 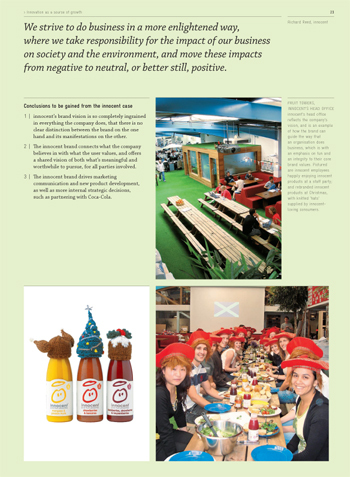 A page from Brand-driven Innovation featuring a case study on innocent. AVA: The introduction to your book states: “in existing literature on the fields of branding and innovation, this connection is hardly mentioned” – why do you think this is? Erik: I think because branding and innovation –in the classical meaning of the terms- take place in different silos in the organisation (typically marketing and R&D). Since literature and academic research are a reflection of practice, these silos also exist there. AVA: In your book you argue that a strong brand is a human-centred brand. Does this make people happier as well as more efficient at their jobs? Erik: I believe so yes. In general I think organisations are made of people of flesh and blood, not excel charts and quarterly EBIT targets. These people don’t change into robots when they are at work: organisations are eco-systems of people with cultures, needs, desires, ambitions, inhibitions, fears, et cetera. And these eco-systems include customers. Brands should capture the underlying vision and values that connect these people. That’s why I talk about human-centred branding. In the work I do I have seen that people perform better, and with more drive and satisfaction, when they can base their behaviour on a set of underlying principles they can really connect to, that are really theirs. Human centred branding is about involving people in discovering this set of principles to come to a brand a vision that really drives the organisation forward. AVA: Brand-driven Innovation includes some past vs present definitions of design, which really highlight how much attitudes towards design (especially its application in a business sense) have changed in a relatively short time. In such a fast-moving field, how can people keep up, or better yet, stay ahead? Erik: We have to realise that we as designers see all these changes but our clients may not. There are tremendous changes taking place in micro-surgery that we are unaware of. We simply expect the best of treatments when we are in the hospital. It is our task as designers to offer our clients the best service possible, while keeping our discussions on changes taking place in our profession to ourselves. But if you look at it from the designers’ point of view, I think there is sort of an automatic filter in place: many designers aren’t really interested in these changes. The people who are, are automatically at the forefront, experimenting with design thinking, design research, business model design and such. This avant garde is applying things as they learn, and fortunately, from what I’ve seen, they are modest and realistic: they don’t claim to have found the holy grail, they admit that they are operating in a new domain where experimentation and trial are the only way forward, and all they ask is courage from their clients to do things differently. And as long as they book astonishing results (and I think they do) they will stay ahead. AVA: How much of what you discuss in your book and with your clients is about a particular mindset and how much is about practical applications? Erik: Good question! I’d say it’s about 50-50 and the one needs the other. Clients have asked me if I have some brand-driven innovation tools for them to implement in their organisation. But it isn’t quite that simple. The mindset needs to be there, and that requires some deep digging. On the other hand, there’s no use in having a mindset but not having the practical applications to actually change things. So we are always focussed on making things tangible and practical. I suppose it helps that I am a product designer by trade. I have designed so many products that had to be manufactured and that needed to work as expected that in my consultancy I also always try to make things very concrete. AVA: Are brands more important for the companies that create them or for users/consumers? Erik: Can I get away with another 50-50? Brands define the relationship between the two. And a good relationship is equally important to the parties involved in that relationship right? AVA: I know you use Twitter a lot; what has been its impact on the business world do you think? Do you use it more for work or pleasure? Erik: I am amazed at what Twitter has brought me. Friendships, knowledge, ideas, business partners (in Australia even!) and so on. 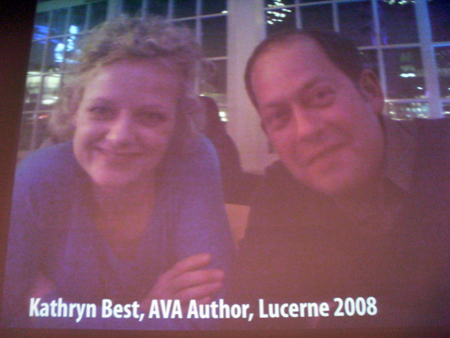 When I launched my book in Delft a week ago about 30% of the audience were people I had met on Twitter. Some of them I had never seen in real life before. There is no distinction between work and pleasure on Twitter, at least not for me and not for most of the people I connect with. They mix organically. I think this new way of working is less distant from our private lives. We are human beings and we work and live and love and it’s all part of the same quest to become better at being ourselves. The companies that engage a lot in social media understand this. They dare to be human. And this is maybe what other businesses have trouble with. They are used to communicating on the basis of some kind of guidelines on corporate PR or whatever. People don’t converse based on guidelines. That’s why I don’t advise every company to start tweeting. That would be starting with the T of POST. Dare to be yourself first. That’s already a heck of a job. AVA: How would you define ‘design thinking’? Erik: That’s always a tricky one: defining design thinking doesn’t really help to understand it. It’s like defining ‘friendship’, or ‘dog’. It doesn’t give you a sense of the real meaning of the concept. But I am procrastinating. The way I get a grip on the concept in the book is by comparing it to ‘business thinking’ and ‘creative thinking’. Design thinking meanders between the two, and has the great capacity to switch between linear, rational, deductive, analysis to iterative, intuitive, inductive synthesis. If you are interested in the topic read Fred Collopy, Roger Martin, and Tim Brown. And follow the the online debate which is huge and very lively. 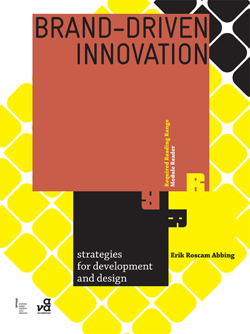 AVA: In BDI (page 141), you discuss the many functions of design. Can you choose the one that you feel can add most value to a business? Erik: No I cannot! Because it depends on the situation of the business. The point of the table is that design has all these various functions, and that its value to organisations depends on whether it’s put to use the right way. And this depends entirely on the organisation, its context, the stage it’s in and the objectives it has defined. AVA: In your opinion, what are the most thought-provoking current debates surrounding design and design management? Erik: Well, the design thinking debate obviously, especially since the views vary so dramatically. Some designers see it as the Holy Grail, others see it as the latest fad that will have blown over a year from now. The best debate on design thinking is fed by non-designers by the way. People like Fred Collopy are very good at observing what ‘we’ do and making business sense of it. Another very interesting discussion is that on service design. I couldn’t give it a lot of room in the book but it’s a very interesting topic with widely varying views. I am sceptic of a lot of the discussions on service design because so little of it is really new. But the really intelligent observers like Ralf Beuker, Lucy Kimbell, Arne van Oosterom, Damian Kernahan and Lauren Currie show us a very new and exciting way of thinking about what design could and should mean to people. AVA: Which recent design conferences/events have you found to be the most inspiring? 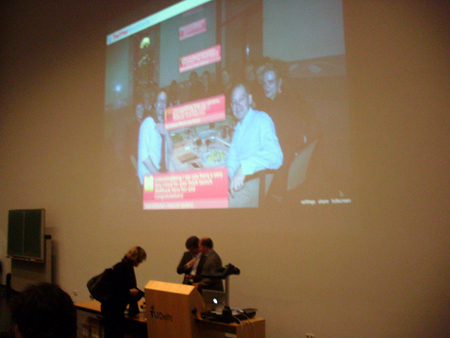 Erik: I am very fond of the Design Management Institute’s European conferences. They are great gatherings of very smart and inspiring people. And in the Netherlands we have the Design Management Network with some great events and there’s the Service Design Network with some very inspiring members. 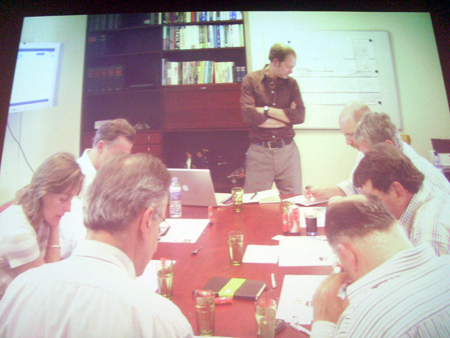 But the most inspiring gatherings have been the so called unconferences we’ve organised with the designthinkingnetwork.com: they are based on the idea that what happens in between presentations is often the best part of conferences. So an unconference is a conference without presentations. We’ve held them in Delft, Münster, Rotterdam and New York (couldn’t go to that one unfortunately) and Milan and Rio de Janeiro are on the agenda. AVA: You teach at the Technological University of Delft and are involved in the Eurib Master of Design Management programme in Rotterdam; what do you enjoy most about teaching? Have you found your qualifications or your practical experience to be most helpful when working with clients? Erik: To be a good teacher I need to reflect on what I do. I need to be able to explain the processes of what I do and the mechanisms behind it. That kind of reflection is tremendously valuable for me since it helps me to really fine tune my work. But it works both ways: students enjoy my classes because I don’t pretend to know all the answers: while I am teaching, I am trying to understand what happened in a certain case. I make them reflect as well. We are on a quest together and I involve them in my curiosity. I think nothing beats practical experience, but teaching makes me much better at what I do. By explaining what you do, you get so much more grip on it. I am very grateful to all my students for their critical questions and ideas and their openness to debate. I love being with a bunch of international ambitious students and to simply discuss their passions and ambitions and worries. Sometimes that gives me even more satisfaction than consulting. But teaching fulltime? … No. The variety is what really gives me energy. AVA: What online resources do you recommend to your students? Erik: If you go to my blog www.branddriveninnovation.com or my company’s website www.zilverinnovation.com you will find a lot of resources. AVA: You have an area on your website where you are inviting readers to upload their comments on your book (www.branddriveninnovation.com/book/reflections). Do you feel that on a day-to-day basis you gain from the feedback of others? Erik: Tremendously! I would be nowhere without dialogue and discussion. That’s why I hope I will get many responses to the book. Criticism isn’t easy for me, because I tend to take things very personal. But I need it to get further, so don’t spare me please!! AVA: What achievement are you most proud of? Erik: At this moment? That I finished the book, and that my family still loves me (I think ;-) ). It has been a huge adventure, involving many many days and nights of work. Their support means the world to me. I am also proud of my business and the team of people I have gathered. We are putting to practice what I teach and write and it’s going exceptionally well, even in these rough times. I think I hit a sensitive string. That is really really cool! Brand-driven Innovation is available to purchase from our website. Many thanks to Erik and to Ralf Beuker, some of whose slides I have used in this post. Next Post:Brand-driven Innovation book launch!